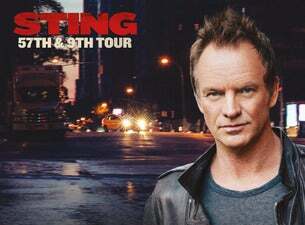 Originally the lead singer of The Police, Sting went solo in 1984 and has become one of the UK's most eclectic solo artists. With songs incorporating jazz, world music and classical elements, along with a fantastic live show, he appeals to a very wide audience. Classic singles include If I Ever Lose My Faith in You and Fields of Gold.